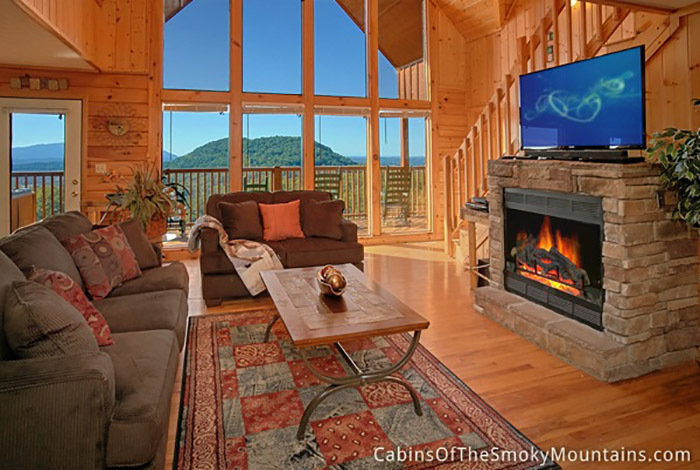 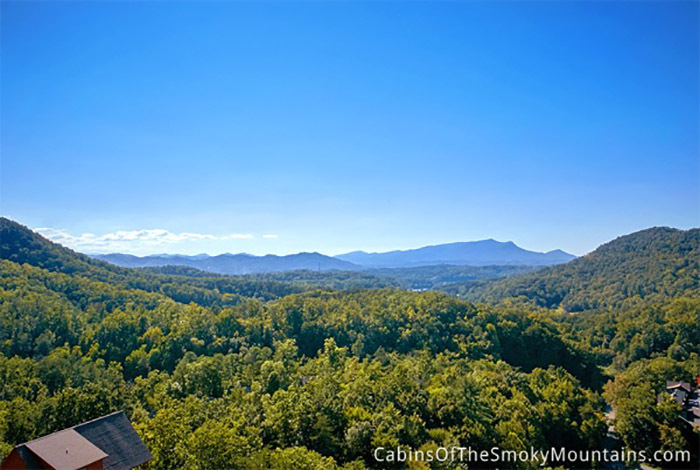 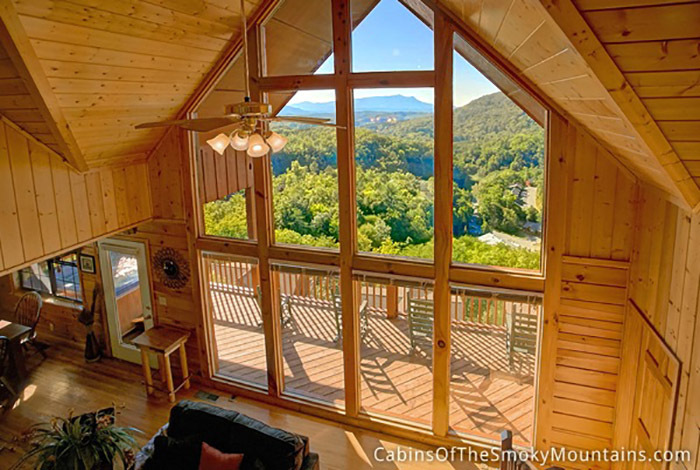 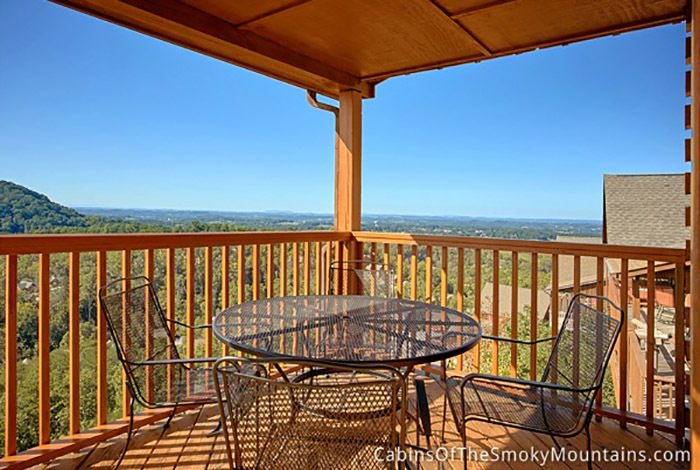 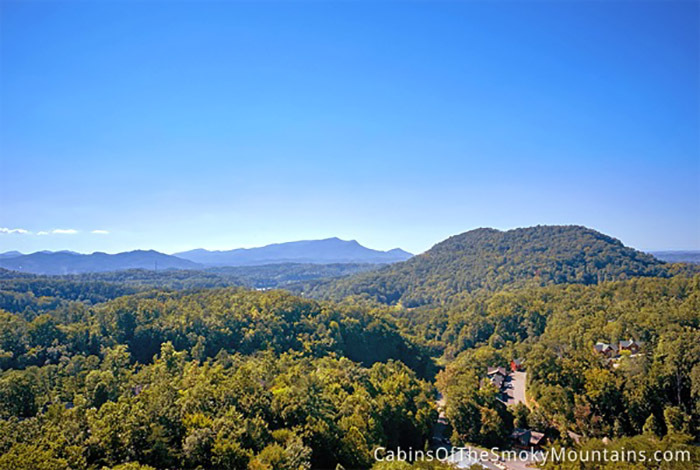 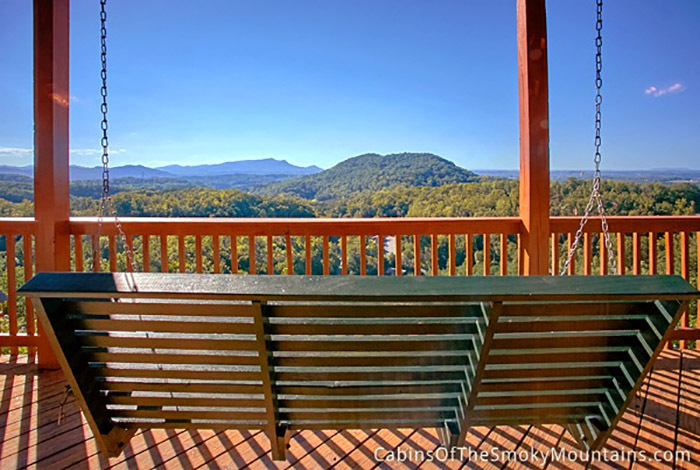 Are you looking for a cabin that gives you such beautiful views you feel like you're in heaven? 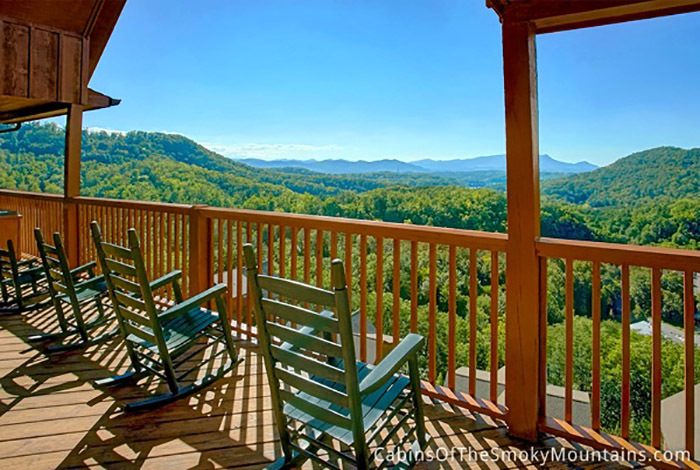 Look no further than Heavenly View. 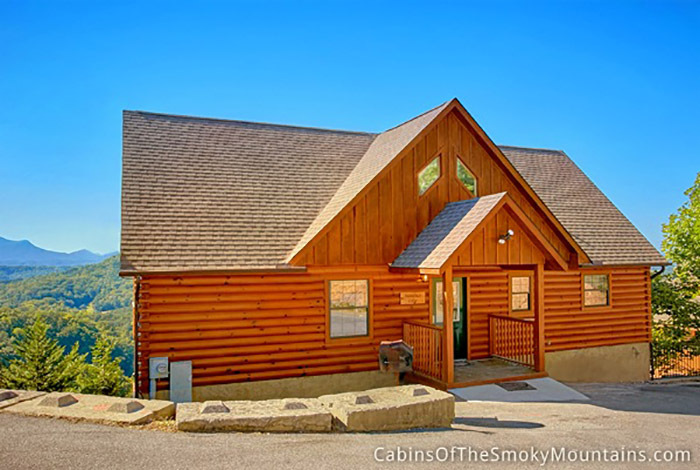 This beautiful 5 bedroom cabin is the true definition of luxury. 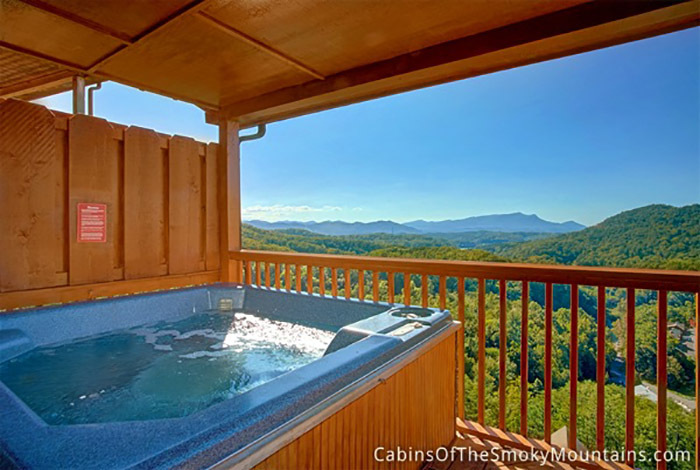 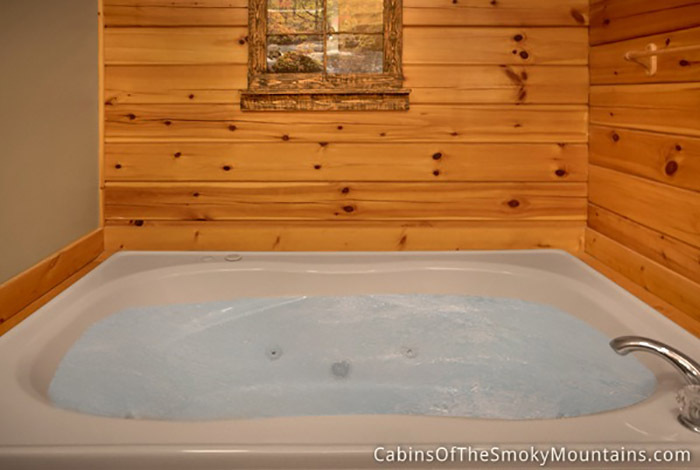 You have a hot tub to enjoy the breathtaking views from, as well as a jacuzzi tub to enjoy from the inside of your master bedroom! 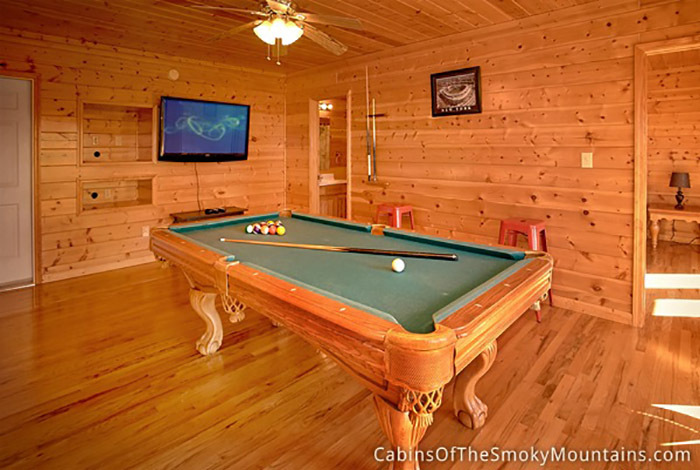 This cabin includes 7 flat screen TV's, a PS3, a pool table, and most importantly swimming pool access for you and your family to enjoy during the hot summer days. 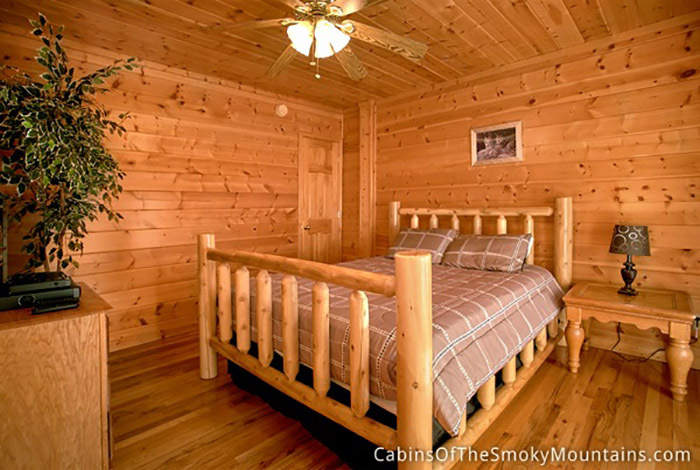 This cabin has plenty of space for up to 12 people to stay in. 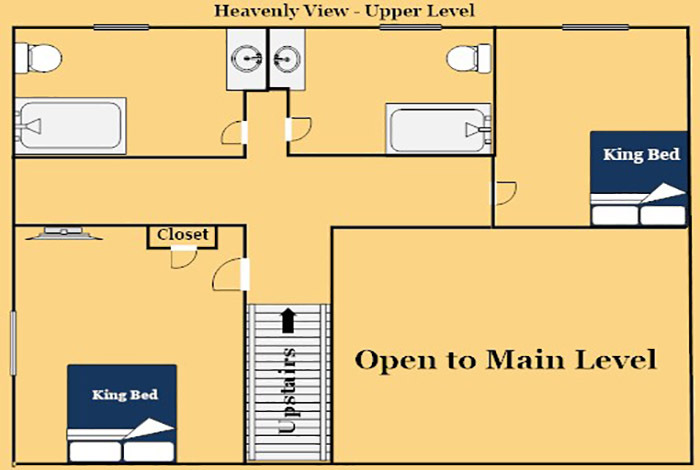 Along with the 5 bedrooms, there are 4.5 large bathrooms. 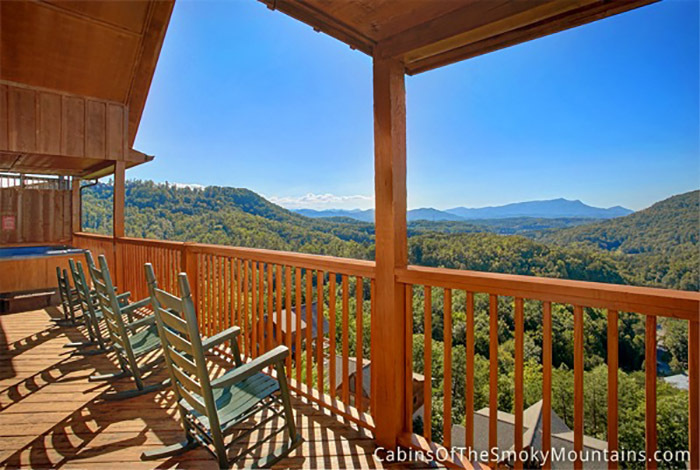 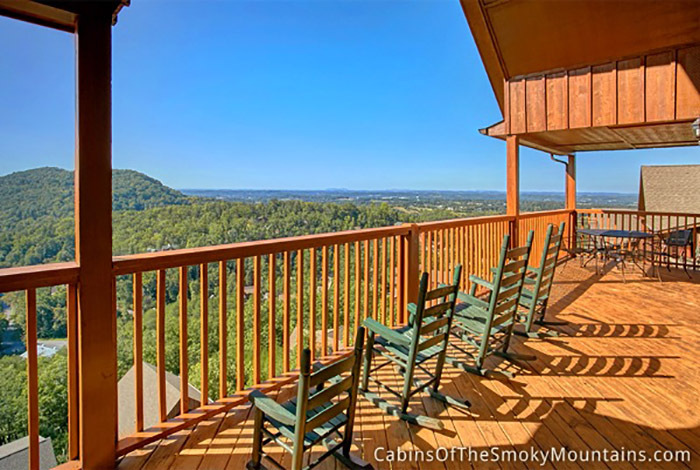 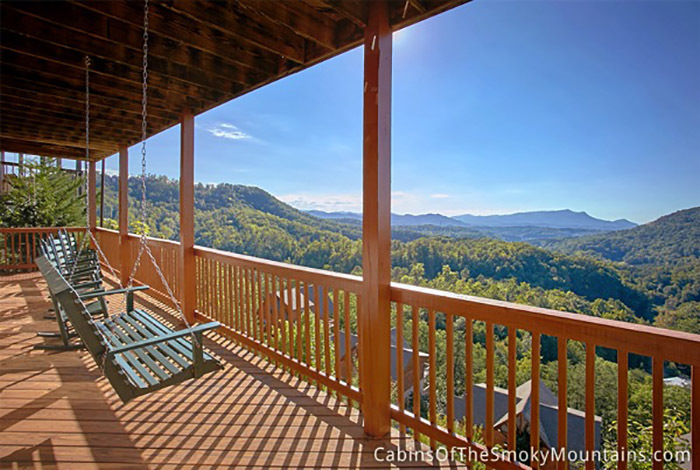 There are also 8 rocking chairs on the deck to enjoy the heavenly views. 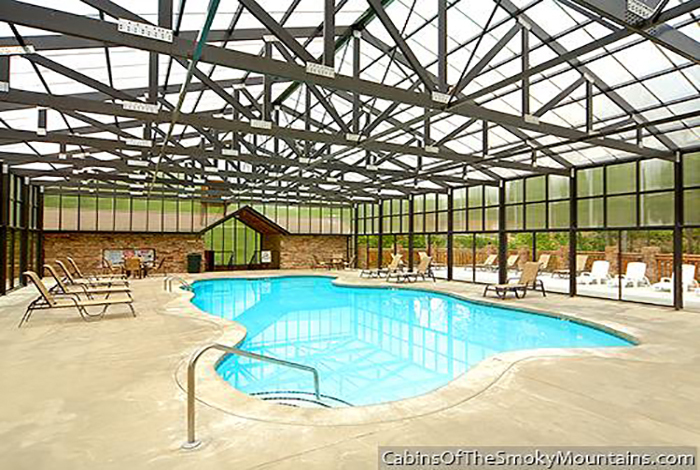 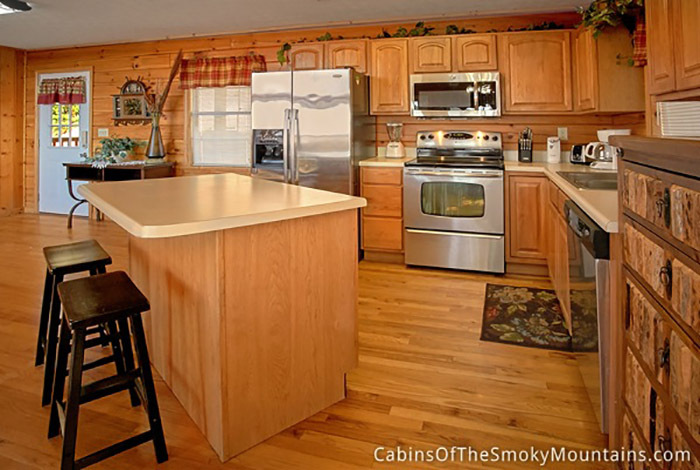 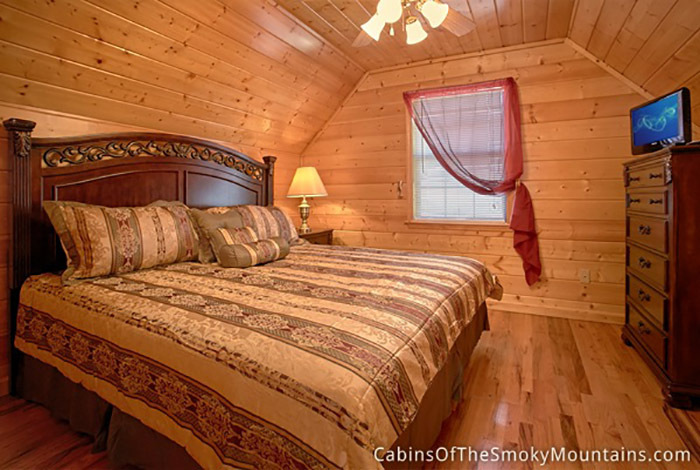 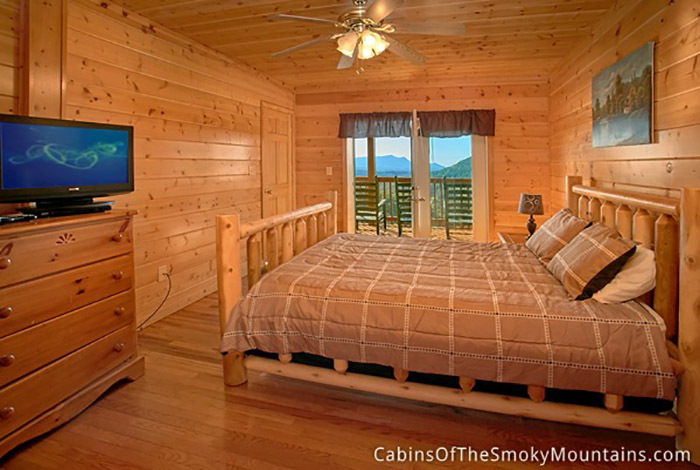 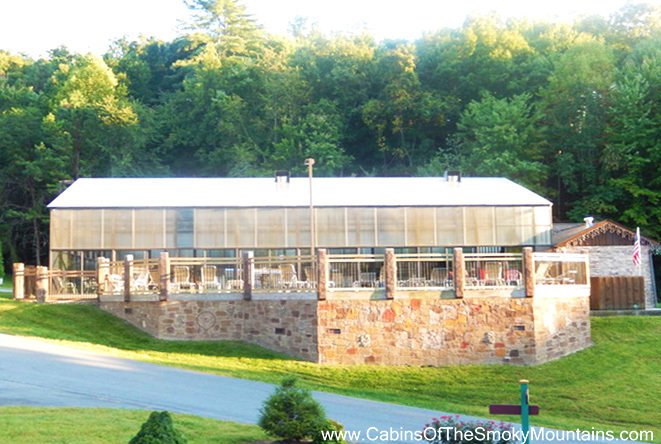 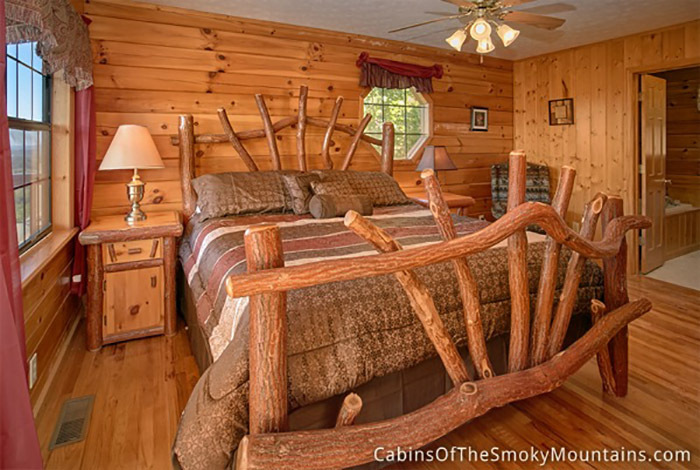 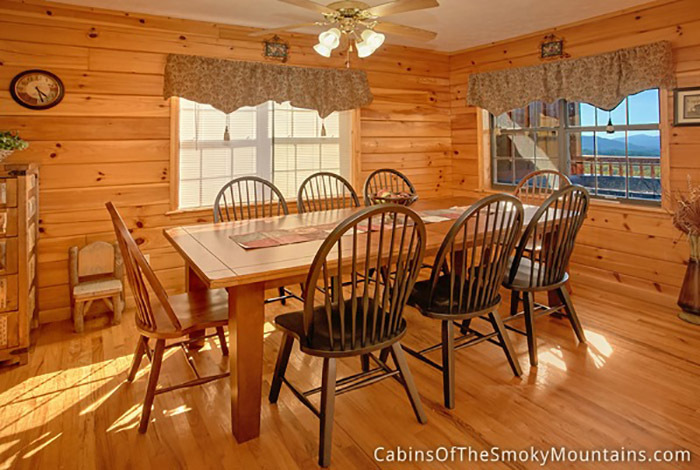 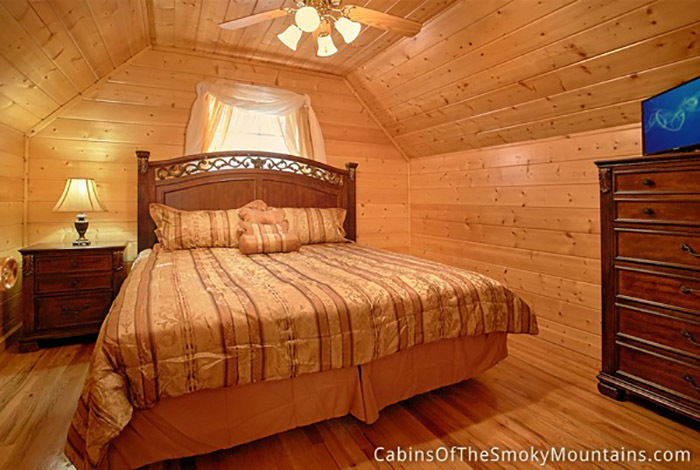 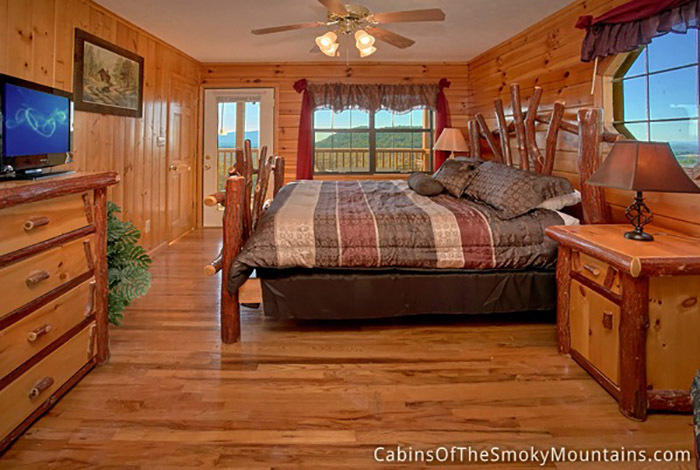 This is such a beautiful cabin with amazing amenities. 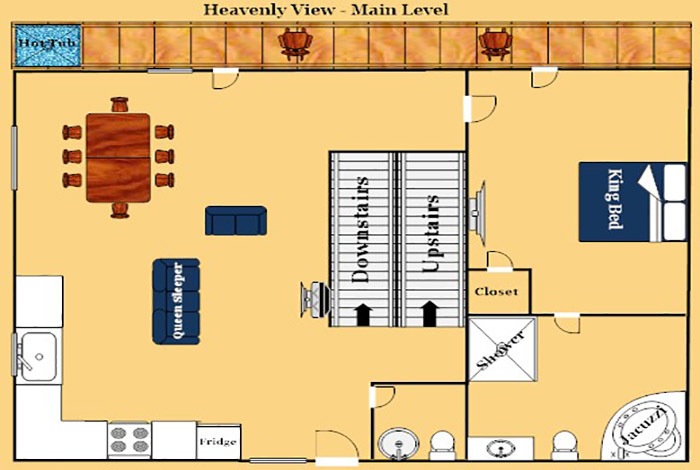 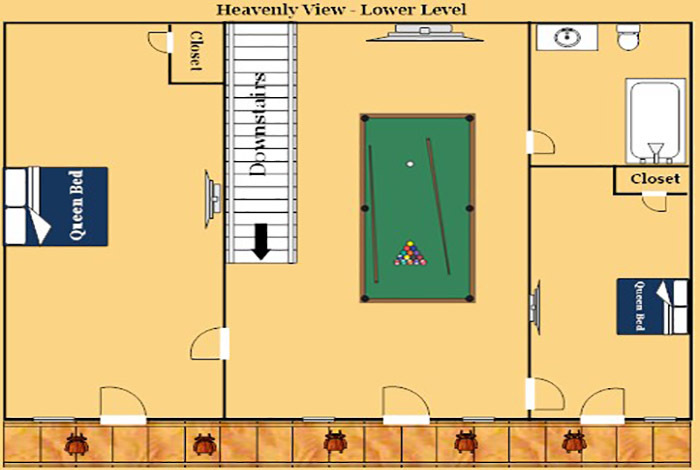 You will not be disappointed if you choose Heavenly View.